Today’s Windows isn’t your dad’s Windows. Microsoft is finally acknowledging that IT professionals are fed up with Windows 10’s binannual major release cadence. So, to address this, it has come up with several new ideas, one of which comes straight out of the Ubuntu Linux desktop playbook. 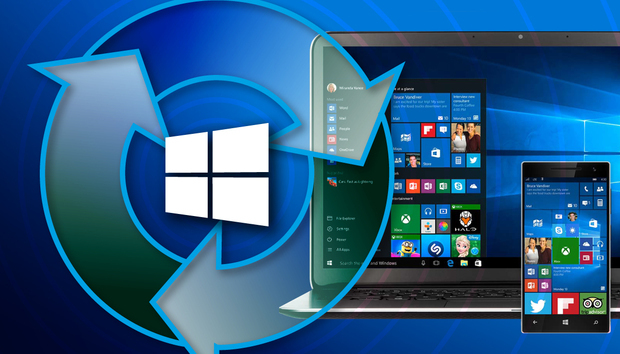 Every six months, along with the regular patches, Microsoft releases new-feature updates. This makes the old Service Patch (SP) model look like slow motion. No enterprise desktop manager wants to upgrade every user’s desktop that often, so they ignore those new-feature updates — until they can’t. In the case of Windows 10, they only have 18 months before any new features are no longer supported. At that point, desktop managers are forced into upgrades. The grumbling has been loud. Now, though, if you’re willing to pay for Windows 10 Enterprise edition with its subscription-based license cost of $130 per user/per year above and beyond the cost of Windows 10 Pro, you can get 30 months of support. That’s almost three years. Hmm … who has a Long Term Support (LTS) program of three years for its desktop operating system releases? Why, that would be Ubuntu Linux. I should add that, unlike Microsoft, Canonical, Ubuntu’s parent company, also frequently offers support above and beyond three years for its LTS releases. For example, Ubuntu 14.04 is being given Extended Security Maintenance (ESM), which will see it getting critical and security patches for at least two years beyond the end of LTS. Notice something else about Microsoft’s version of LTS? There’s an annual fee attached to it. I seem to recall saying you could soon expect to rent Windows as a desktop-as-a-service (DaaS) offering rather than buying it. Guess what: It’s happening. Microsoft Managed Desktop (MMD) packages up Microsoft 365 Enterprise, (DaaS) and cloud-based device management by Microsoft. 365 Enterprise, by the by, is comprised of Windows 10 Enterprise, Office 365 and Enterprise Mobility + Security. With this plan, Microsoft rents you preconfigured Windows 10 PCs. Microsoft, instead of you, gets to deal with supporting those annoying Windows 10 feature updates, security patches and other fixes. All this, plus overall PC management, for one low per-user monthly subscription fee. Well, Microsoft says it’s low. What it will actually cost will vary by user, number of desktops, desktop type, etc., etc. The first PCs are from Microsoft’s Surface line, but you’ll see computers from Dell, HP and other vendors soon. Right now MMD is in soft release, but it will be deployed to the masses in early 2019. To get it today you’ll need to work directly with Microsoft, but you’ll be able to work with resellers such as DXC, HCL, Computacenter and Accenture/Avanad in the months to come. What I see here is Microsoft making it increasingly harder to “own” Windows. Like it or lump it, for businesses at least, you’ll be renting Windows. I don’t know about you, but I like owning and controlling my computers. I’m old enough to remember how the PC revolution moved computing power out of corporate hands and into my mine. I liked it then. I like it now. And that’s one of the big reasons I’m running Linux on most of my desktops.